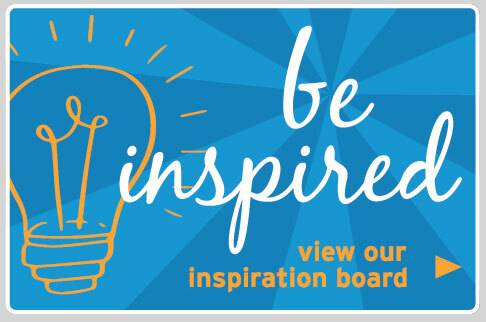 If you’re stuck for ideas on what you want from your exhibition stand, take a look at our inspiration board to see what we have produced for other customers. From linked pop ups to tablecloths and pavement signs, we have made it all. Browse real customer photos and take a look behind the scenes to see exactly what goes into our products, from production to the final product. Are you stuck for ideas on what type of exhibition stand to invest in or what type of design you want to go for? Do you want to see the type of clients we work with and the quality of the products we produce? If so, have a scroll through our inspiration gallery. Here you will find behind the scenes photos from our production room, as well as photos our customers have sent us of their exhibition stands in action. You can see all of the brands we have worked with, some of the designs our graphics team have come up with and what each display looks like in real life - giving you a realistic idea of what you are investing in. We designed this page because we know that purchasing an exhibition stand is a big investment, and we always strive to give our customers as many materials as we can in order to help them make the most informed buying decision. Seeing a picture online can often make it hard to gain a true representation of what it is that you are buying, but seeing real people with their exhibition stands gives you a great idea of the quality of our displays as well as the scale. We update this page daily with new photos, meaning there are always fresh ideas for you to look at and gain inspiration from.